Toshiba has re-entered the smart glasses space with the introduction of the dynaEdge; a pair of AR glasses that runs on Windows 10. 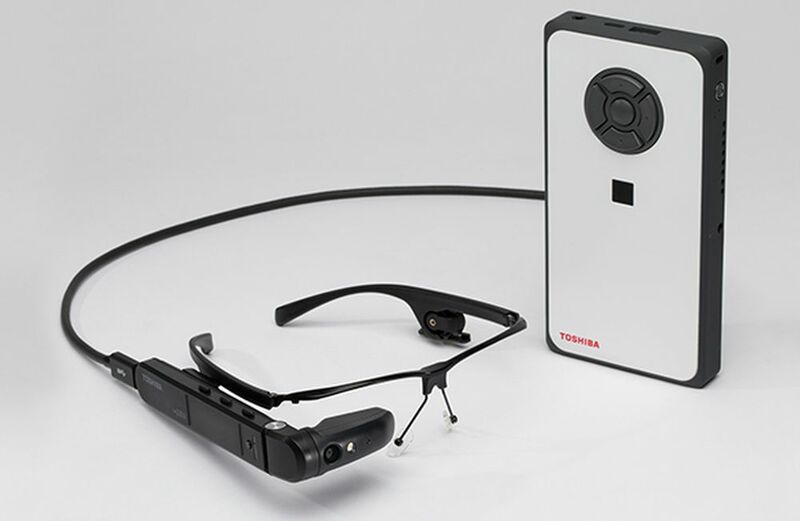 The glasses are connected directly to a mini PC; essentially Toshiba’s idea of hooking up a PC directly the smartglasses. The AR glasses are apparently just one part of a two-piece system. The first part is the glasses, technically known as the AR100 Head Mounted Display (HMD), and the DE-100 Mobile Mini PC, which is clearly the core of the entire setup. It should be made clear that these AR glasses aren’t your typical smartglasses; according to a report by The Verge, it doesn’t project rich, interactive holograms directly in front of you like the Microsoft HoloLens. Instead, the device simply projects a simple display into the eyes, where users can choose from a list of preset functions, such as making calls, taking pictures, or conducting video calls. How the glasses does all this stems from the second piece of the system – the mobile mini PC that it’s connected to. The internals of the mini PC comprise of an Intel Core M CPU, 6GB of RAM, 512GB of internal storage, and a battery big enough to provide its users with up to six hours of continuous use on a single charge. When not being used as an AR device, the mini PC can also be hooked up to a standard display, at which point an adapter will be needed. 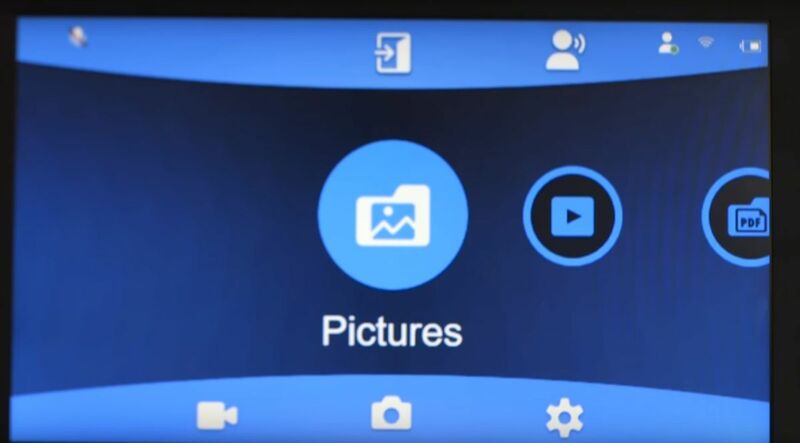 When in AR mode, however, users can navigate and control the dynaEdge either by the navigational buttons on the mini PC, or the touch-sensitive swipe pad that comes with the glasses. Again, the design and function of the swipe pad is similar to that of Google Glass, and it even comes with a proximity sensor, ambient light sensor, LED light, gyroscope, and the much needed camera, speaker and microphone. As implied, this isn’t Toshiba’s first time entering the smartglasses industry. 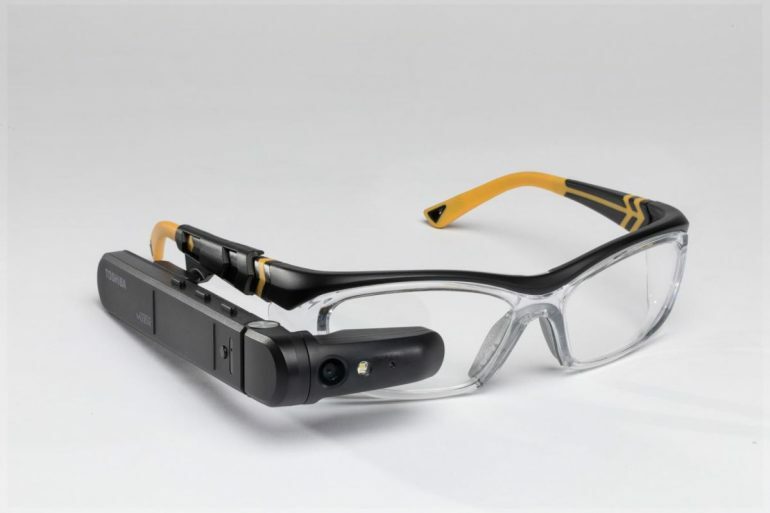 Back in 2014, the Japanese company came out with its own set of wearable glasses; back when Google Glass was all the rage, and every major smart device manufacturer wanted in on the smartglass action. Four years on, Google Glass is barely alive in the consumer space, save for its apparent use as an industrial tool. 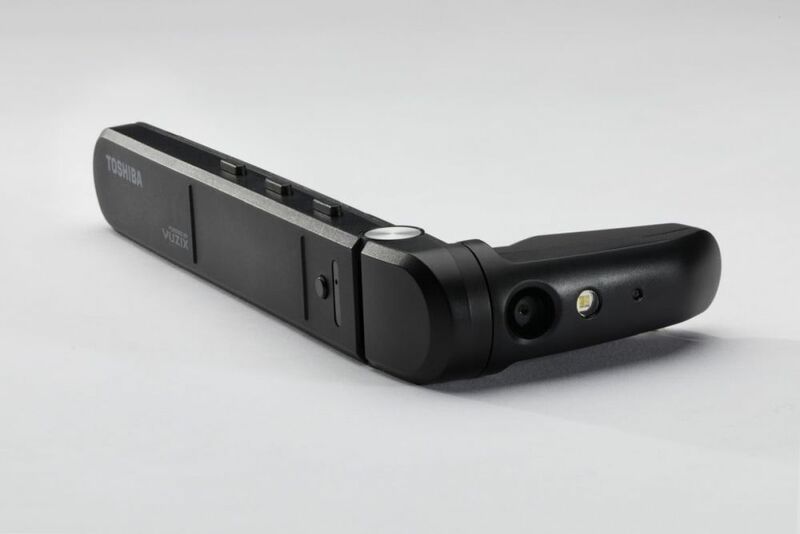 The touch-sensitive swipe pad of the dynaEdge AR glasses. On that note, Toshiba is launching its dynaEdge AR glasses starting today at a pricetag of $1899 (about RM7410), and it’s aiming it at companies in the business and industrial segments. There’s no indication that Toshiba will be bringing in the system to Malaysia, and it’s very unlikely that it will.